Serves as Director of the Naifeh Center for Effective Leadership (NCEL) at the University of Tennessee’s Institute for Public Service. Prior to coming to serve in this role, Dr. Macel Ely, served as training manager for the University of Tennessee’s Municipal Technical Advisory Service (MTAS). During that time, Dr. Ely oversaw multiple training programs including the Municipal Court Clerk Program, Elected Officials Academy, Municipal Management Academy, Municipal Administration Program and the Certified Municipal Finance Officer programs. Dr. Ely has earned a bachelor’s degree in political science from Lee University and Kentucky Wesleyan College and a master’s degree in public administration and a doctoral degree in educational leadership from the University of Tennessee at Knoxville. He has earned the Certified Professional in Learning and Performance (CPLP) certification through the Association for Talent Development (ATD) and also has professional certificates in the areas of coaching, leadership program development and training management. Recently awarded the 2015 Robert S. Hutchison Outstanding Public Service Professional Award, Dr. Ely has also authored a book entitled Ain’t No Grave which has been featured in such media outlets as CNN Headline News, National Public Radio, and the British Broadcasting Corporation. This literary work was nominated for best historical research by the Association of Recorded Sound Collections. Dr. Macel Ely also serves on several charitable boards across the country. He and his wife, Jamie, reside in Walland with their son, Silas and daughter, Elizabeth. 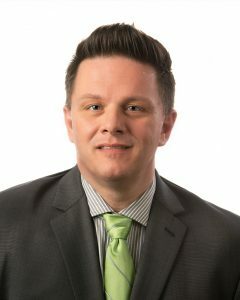 Trent Clagg serves as a Training Specialist of the Naifeh Center for Effective Leadership (NCEL) at the University of Tennessee’s Institute of Public Service. Originally from Idaho, Trent Clagg has been involved in service and leadership for several years. He is the product of three generations of leaders and speakers. He is a graduate of Lee University earning a degree in Communications, with an emphasis in Telecommunications. Later on he received his Master’s degree in Educational Leadership from Lincoln Memorial University. He married Mary Hamilton in 2000, and they moved to Lenoir City, TN. In 2002, he accepted the position as the Manager of the Clayton Performing Arts Center at Pellissippi State Community College in Knoxville, TN. After serving almost ten years, Trent accepted a position at Lincoln Memorial University to work in the Assessment department and successfully aided the Carter and Moyers School of Education in attaining the honorable National Council for the Accreditation of Teacher Accreditation (NCATE). Trent has served in multiple leadership capacities in his career including a local non-profit where he has served as a motivational speaker since 2006. He has been a featured speaker at several camps in the Pacific Northwest as well as many venues in East Tennessee. He enjoys spending time with his family, discovering the outdoors, and horseback riding. Trent and his wife Mary have three beautiful daughters, Abby, Annabeth, & Amelia. Ehren Green serves as a Training Specialist of the Naifeh Center for Effective Leadership (NCEL) at the University of Tennessee’s Institute of Public Service. Prior to joining the Naifeh Center, Ehren worked at HCA Healthcare in their corporate Leadership Institute department assisting with various executive leadership programs. Before HCA, Ehren worked in higher education for over 12 years where she held various positions at Belmont University, Temple University, and West Virginia University. 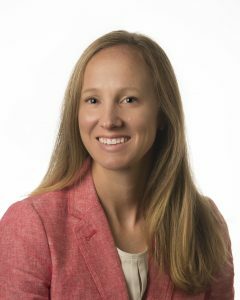 Ehren earned her bachelor’s degree in Exercise Science and Wellness from Ball State University in Muncie, IN where she was a member of their women’s soccer team. She went on to earn two master’s degrees from West Virginia University in Sport Management and Educational Leadership Studies. Ehren is a certified Myers-Briggs Type Indicator (MBTI) practitioner. She and her husband, Bryan, reside in Nashville with their two sons, Henry and Nathan and silver lab, Coco. Jeff Hundley serves as Training Coordinator of the Naifeh Center for Effective Leadership (NCEL) at the University of Tennessee’s Institute of Public Service. Before coming to NCEL, Jeff trained foster parents for the State of Tennessee’s Department of Children’s Services (DCS). In this role, Jeff participated as a trainer for the Tennessee Department of Children’s Services-Knox Region as well as was a featured trainer at the DCS Foster Parent Conference held annually in Murfreesboro Tennessee. Jeff received a Bachelor of Arts in General Education with an emphasis in Human Services from Eastern Kentucky University. Jeff is also a certified CPR instructor. Jeff and his wife, Sherri, reside in Lenoir City Tennessee; he loves spending time with his family, plays several musical instruments, and enjoys doing humanitarian work in Uganda, Africa. 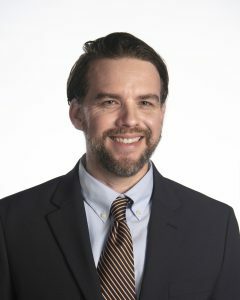 Patrick Mills serves as Training Coordinator of the Naifeh Center for Effective Leadership (NCEL) at the University of Tennessee’s Institute of Public Service. Before coming to NCEL, Patrick Mills served as Training Coordinator for University of Tennessee’s Municipal Technical Advisory Service (MTAS). While at MTAS, Mills coordinated events statewide for the many programs MTAS offers. Mills has earned a Bachelor’s Degree in Political Science from the University of Tennessee. He is an active member of the Association for Talent Development (ATD). Patrick Mills is from Maryville, Tennessee; he is an active member in the community and in his free time, loves being outdoors, traveling and playing golf. Will Porter serves as a Training Specialist of the Naifeh Center for Effective Leadership (NCEL) at the University of Tennessee’s Institute of Public Service. Prior to joining NCEL, Will worked in Training & Development and Human Resources roles at both Encompass Health and the University of Alabama at Birmingham (UAB). In these roles, Will coordinated training activities, assisted with leadership development programs, and served as a resource in employee development and coaching. Will received a bachelor of Business Administration from Auburn University and obtained a Master of Public Administration from the University of Alabama at Birmingham (UAB). In his free time, Will enjoys spending time outdoors, tennis, and reading.